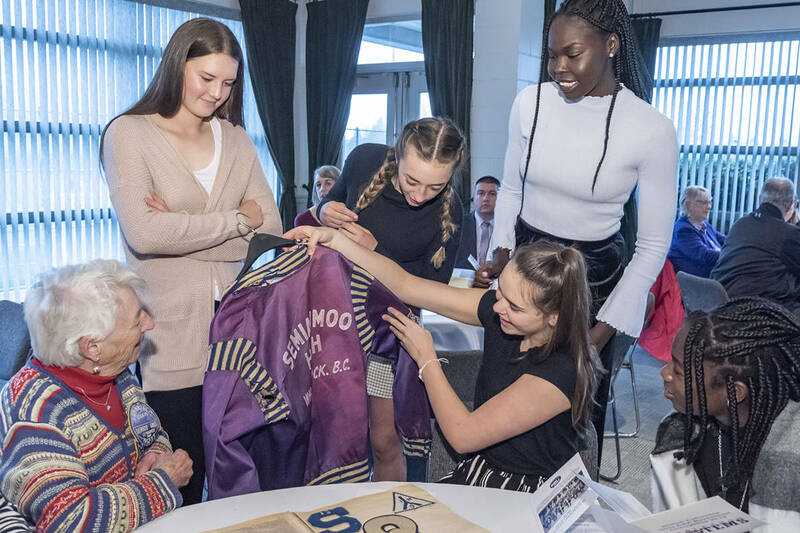 Contributed photo From left, Semiahmoo Secondary basketball players, and provincial champions Izzy Forsyth, Deja Lee and Tara Wallack. A group of Semiahmoo Secondary basketball players led the province to a national championship this month. Deja Lee, Tara Wallack, and Izzy Forsyth were starters for Team BC at the Basketball Canada U15 National Championships, where they battled back against Ontario to take the gold. The girls trailed 14 points at halftime, and overcame Ontario 67-56 at the Aug. 11 tournament held in Fredericton. Forsyth and Wallack both secured a team-high 13 points, while Forsyth collected six rebounds and two steals. For her efforts, Forsyth was named tournament MVP while Lee and Wallack both secured first team all-stars. It’s been a busy year for the three girls, who play for the BC United Blue Star basketball club. This summer, they have played tournaments in Seattle, Los Angeles, Indianapolis and Washington, D.C.